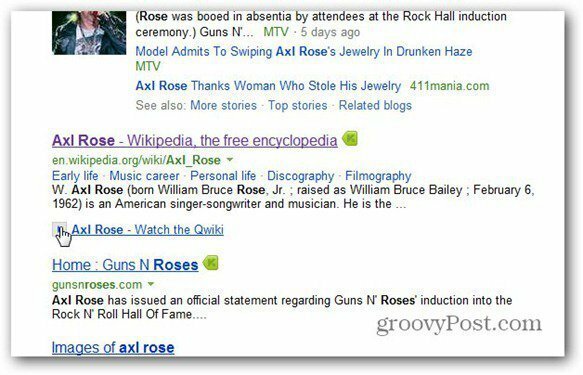 Microsoft’s search engine, Bing, now offers video presentations in Wiki search results. 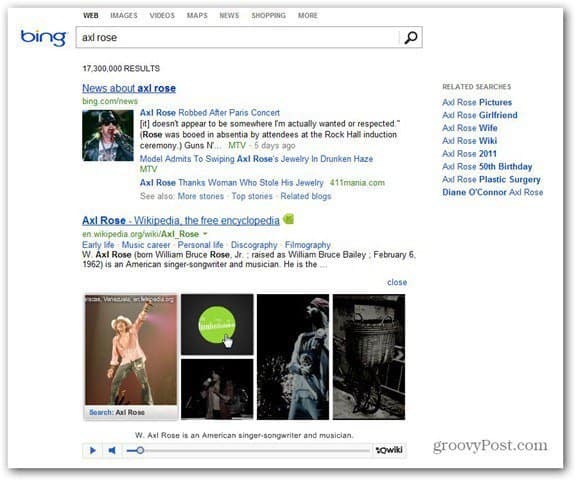 Microsoft is taking a new step in the direction of the development of the Bing search engine. It has integrated Qwiki video presentations in the search results. This move should make Bing a more interesting search engine to start using. If it’s going to compete against Google, Bing does need something different. Microsoft is trying to do it by integrating machine-generated videos, from Qwiki, a service that generates multimedia presentations for various types of information, as announced officially today. For now, this will only happen where a Wikipedia entry is present (and only for some of them, according to my attempts), but it should be extended in the future. Basically, you’ll get a video presentation summarizing a lot of info about the respective topic, and the videos are well-made. I can get this feature and media rich presentation (delivered in a female computer voice…). 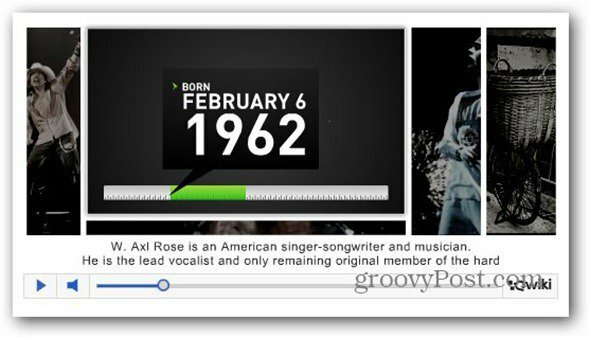 And the groovy part is that all of the content in the presentation is clickable, taking the user to various bits and pieces of information. In order to see the Qwiki associated with a Wikipedia entry, just click the Play symbol under the respective result. I made Bing my default search engine about 3 months ago. I’ll never go back to Google. With or without Qwikis, it seems I’m finding what I’m looking for much more quickly, because the results are better organized. I especially like the “related searches” list that gives me the option of adding more criteria with a click. @Nerdy Woman: I am gong to attempt a full week using Bing only, then write an article with my findings….can I do it? Never use Google once? We shall see. @Brian Burgess: Looking forward to reading that article. Welcome to the light side. You might end up staying just for the cool pics on the homepage. LOL, Bogdan. In Bing settings, you do enter your city and Bing gives you local restaurants, movies and weather when that’s what you’re searching for. They’ve gone big on connecting with your facebook friends so that if you’re shopping for a new gadget, you can get friends recommendations… I blow off the log in with facebook, but do log in with my Windows Live ID to rack up rewards points. Sign in or not, they have a search history (you can shut it down if you want) that I find really really helpful. Have you ever visited a site and 3 days later want to find it again? 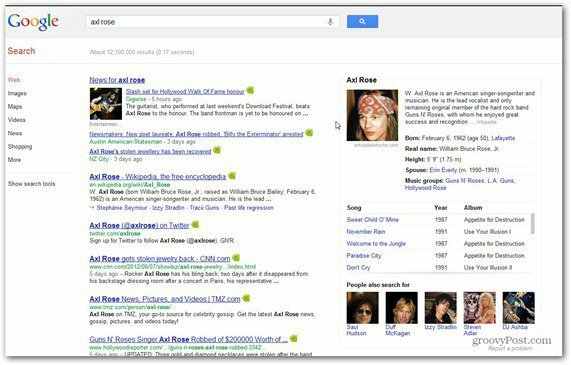 Search history not only keeps a list of your recent search criteria, but which links you clicked from each search.